What are the processes that lead to illness and, inversely, to health and wellness? How can healthcare systems be improved to help prevent and manage illness? What are the primary political and lifestyle factors that can contribute to the promotion of public health and wellbeing? 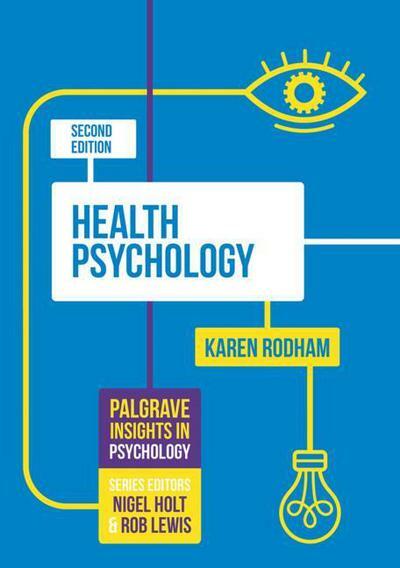 Part of the Palgrave Insights in Psychology series, this straight-forward text provides a well-rounded introduction to the topic of health psychology and delivers an overview of the key issues within the discipline. Readers can expect to learn about the various sub-disciplines that comprise this interdisciplinary area of psychology such as sociology, medicine and politics. Written for those who would like to gain a general understanding of the profession and discipline of the subject, this book introduces the main disorders at the heart of health psychology's focus such chronic illness, cancer, pain, stress, smoking cessation and weight loss. Further, Rodham examines the behavioural factors and wider political processes that affect the psychology of health, illness and healthcare in society. This title stands as part of the Insights series edited by Nigel Holt and Rob Lewis, containing well-rounded, quick guides to the cornerstone theories, main topics and theoretical perspectives of their subjects and are useful for pre-undergraduate students looking to find incisive introductions to subjects that they may be considering for undergraduate study or those looking for helpful preparatory reading for undergraduate modules in the prospective subject.